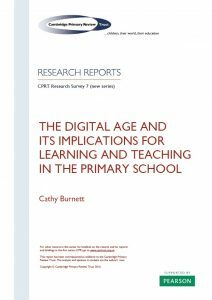 Burnett, C. (July 2016) The Digital Age and its Implications for Learning and Teaching in the Primary School. York: Cambridge Primary Review Trust. 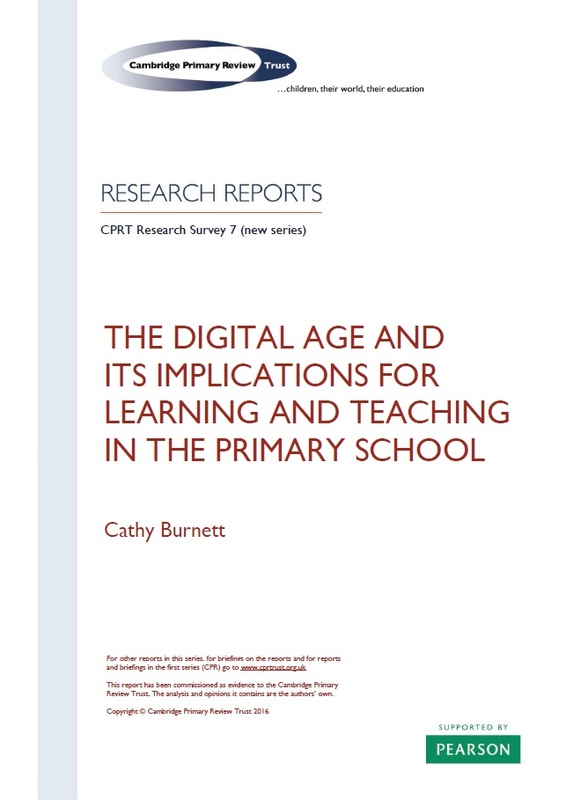 This review will (i) outline the scope of the digital revolution, the range of electronic media in the lives of today’s children and in their homes and schools, and what lies ahead; (ii) consider the published evidence on its impact on children’s development, wellbeing and learning, and on teaching in the primary phase; (iii) assess the published evidence on both benefits and problems of the digital revolution, including controversies about attention span, reduction in face-to-face interaction and exposure to inappropriate material.